Yes, you already know that I love sheers. In my constant effort to make the townhouse look bigger and brighter, I have found an ally in sheer curtains because sheers let in lots of diffused light but blur the edges of the windows, making them appear larger (and of the same size). 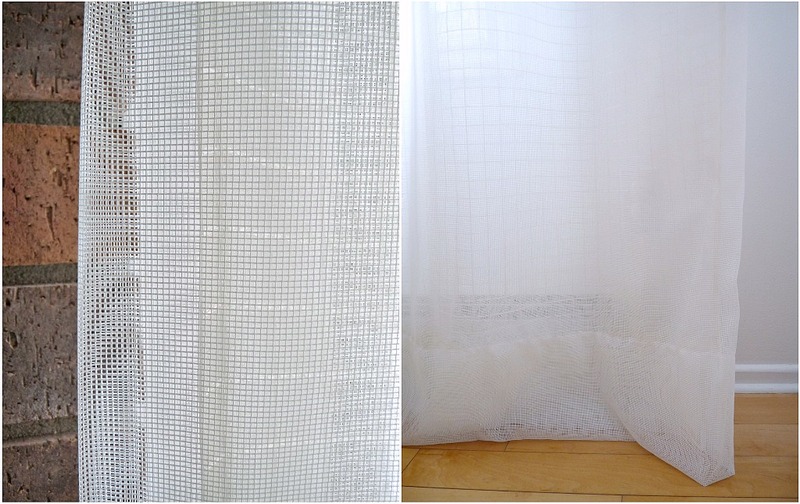 With fabric in similar shades as our all-white walls, I think sheers make the rooms look bigger. But sheer curtains have one drawback: they’re sheer. Sometimes a little too sheer. 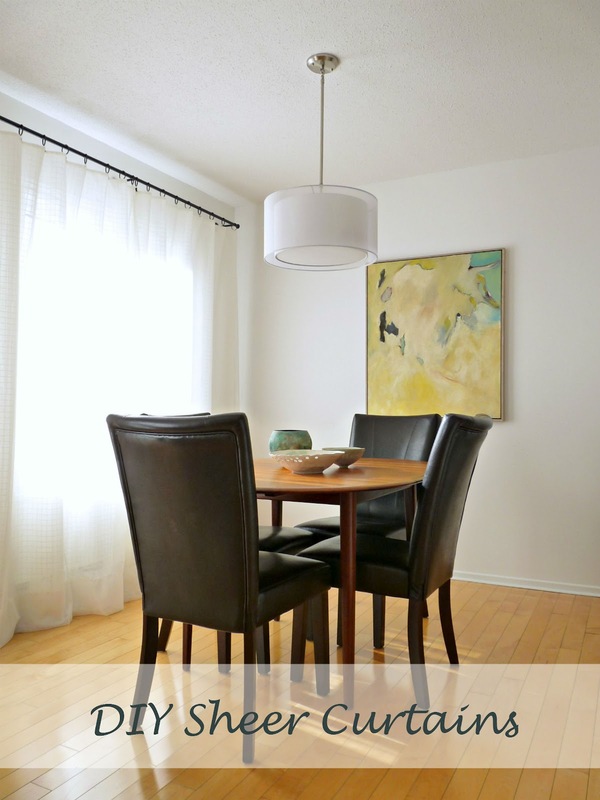 This was the problem in the living room and dining room where a fabric shortage also meant that the living room set looked droopy beside the noticeably skimpier dining room curtains. Not many people can see into these rooms because we have no backyard neighbours, are nicely nestled a distance from the road and have a curtain of trees, but I still wanted a bit more privacy and a neater, less floppy look. So my Mom came to visit after we went to IDS12 and we tweaked the curtains. 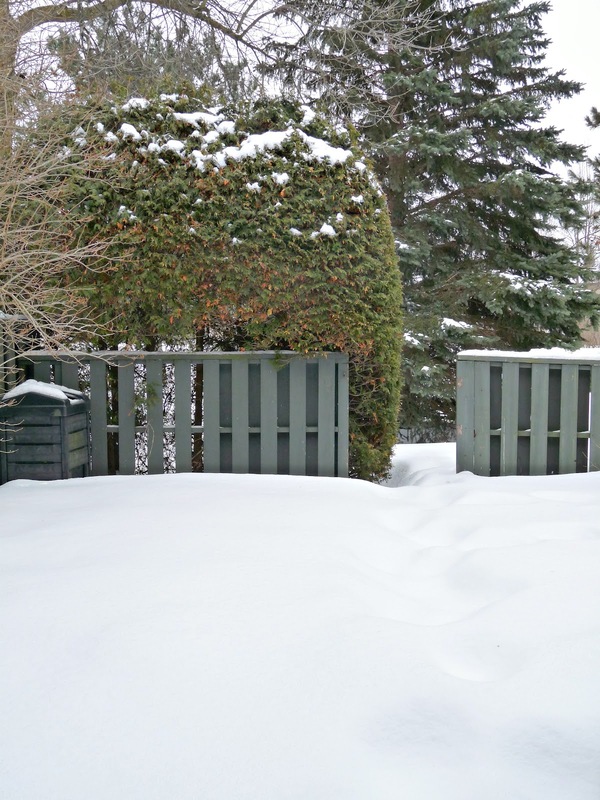 Our backyard – must fix that dilapidated fence this summer . . .
We started with the original sheers, which were simply hemmed top, bottom and sides, and then hung on rings with clips, from Ikea. The bottom hem is wider, to add some substance. My mom reworked the panels so they are all the same size now. Although the curtain rods are the same length, we had originally made the patio door curtains wider. Now all four panels (two for the window, two covering the door) are exactly the same, creating a more balanced look and making the window and patio doors seem the same size. The new fabric has nicely finished edges, so my Mom only hemmed the top and bottom. She made them just a tiny bit longer than the original sheers so the old ones wouldn’t peak out the bottom. The real genius of this fabric is that it is extra wide, so each of the four new panels is double the width of the original panel. We folded each new panel in half, and slipped in an original panel into each new, folded panel and then clipped everything into place. From the outside edges, the old panel is trapped inside the new panel and is barely visible. We kind of made a “sheer sandwich”. If you rustle around, you can reach the old panel from the middle of the curtains (where they meet) or the bottom. 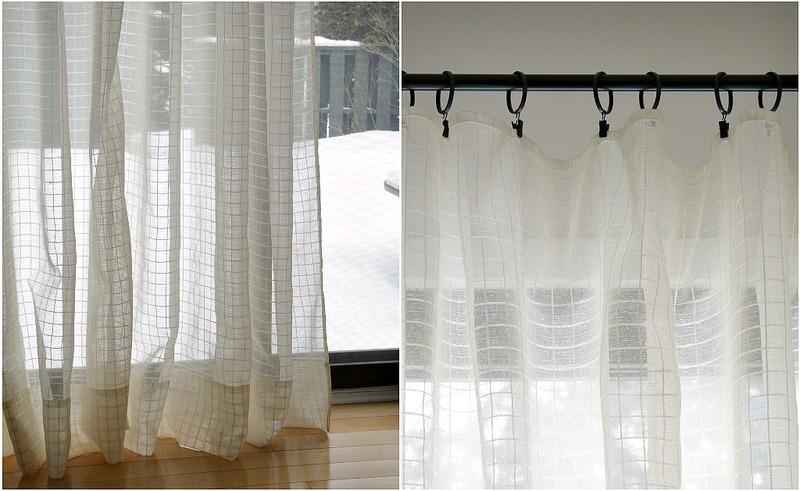 But it just looks like a floaty, gauzy curtain – it is hard to see where one layers begins and ends. Here are some close up photos, but bare in mind it is really hard to photograph what I’m explaining because these sheers are so, well, sheer. 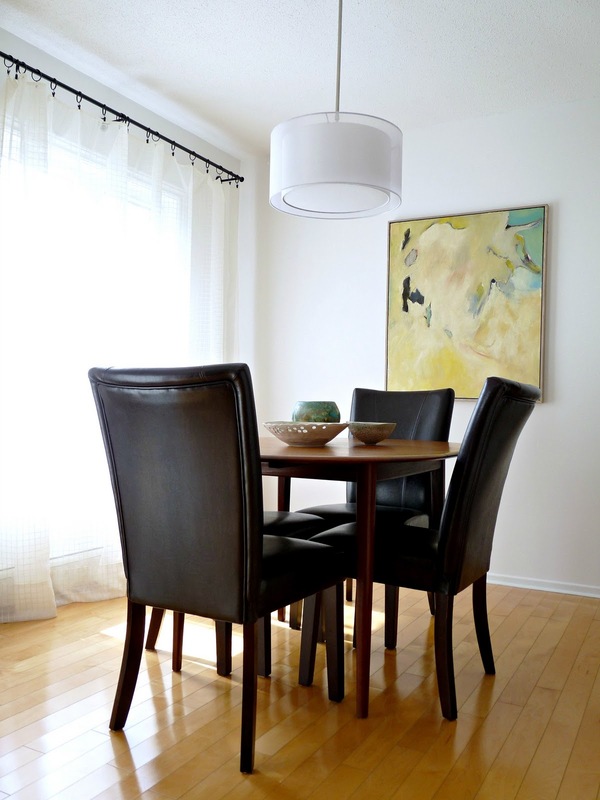 The result is more subtly diffused light, a smidge more privacy and a fuller, less skimpy look. 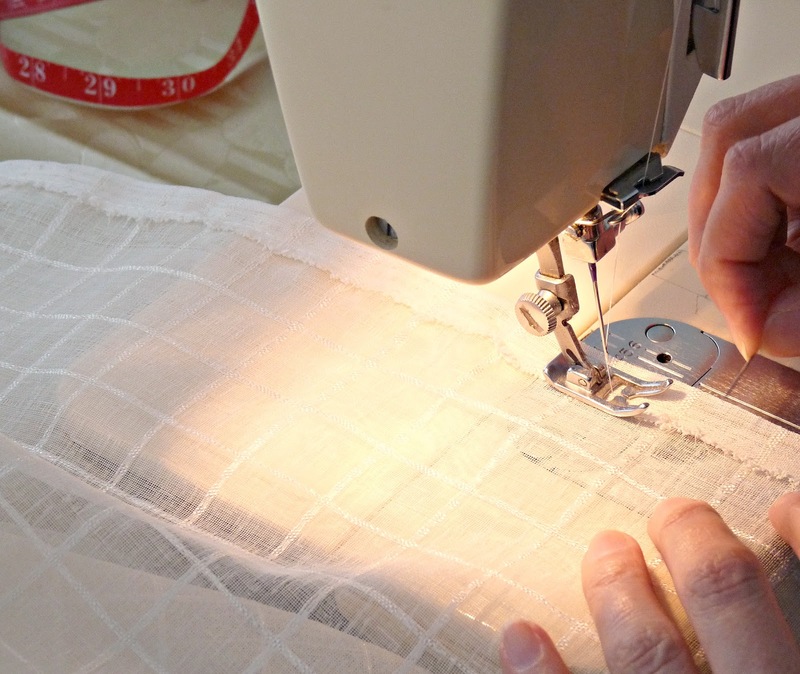 The added layers make the sheers more stiff, too, and thus less droopy. The additional layers really make a difference in real life, but it’s hard to capture it on camera. 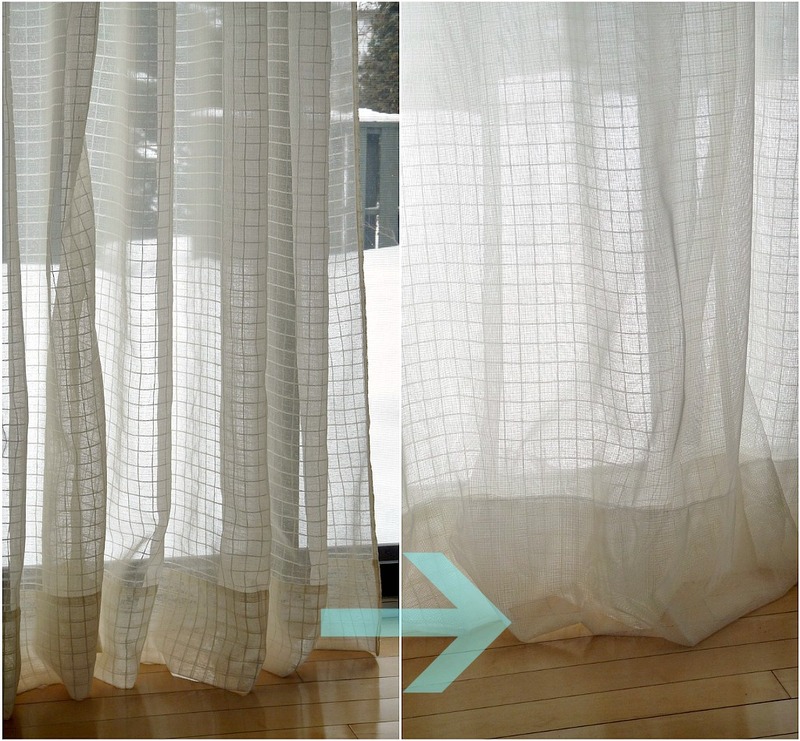 Take my word that this layering trick makes formerly skimpy curtains look much more full (and more expensive, even though this tweak cost only $20). 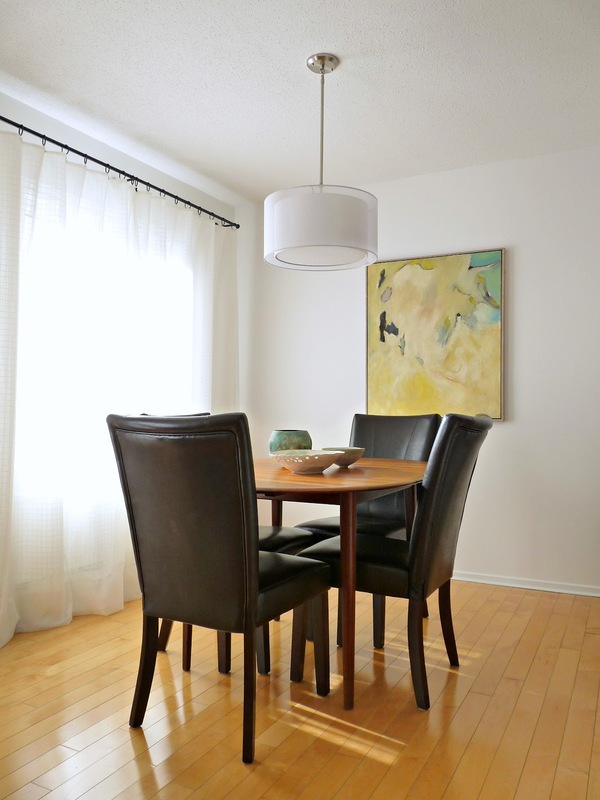 With the “sheer sandwich,” the AFTER, the window frame and heater are more obscured, and the curtains aren’t as droopy at the top, where they are hung on the rings. Subtle, I know. Maybe you should come over for a homemade latte and I can show you? The look could easily be achieved just by clipping two different sheer panels together, sans sandwich. 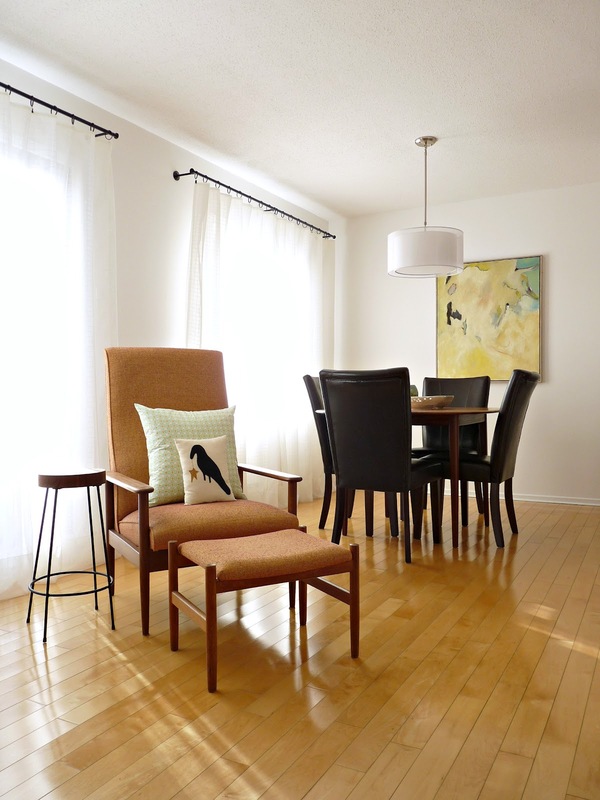 Either way, the look is floaty, less sheer and perfect for the townhouse. Nicely done – the look great! Looks great! We have a set of sheers on all of our windows. They make your house seem so bright and open! Your room looks gorgeous Tanya, nice job on the curtains too! Really good idea! They really give you more privacy now and look a lot more substantial. It's perfect!! 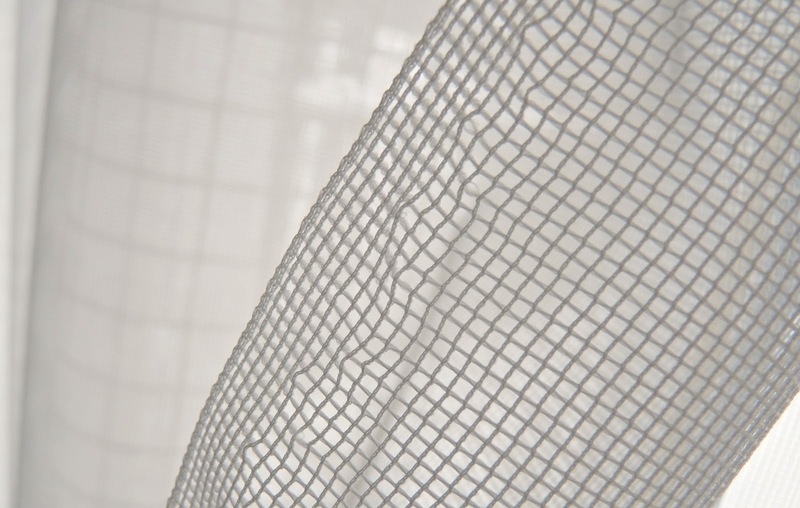 I love sheers as well and there really are some gorgeous options available now. Not just for grannies! This looks great! I can definitely see where it is less droopy at the top and they look a lot fuller at the bottom too! Great idea. I like the new look! Sheers really do make such soft pretty light. You are all so fabulous and this is why I blog. I was kind of worried that nobody would spot the difference and say, "What the heck is the point of this post? Those curtains are identical". Some of my non-blog friends have exactly that to say. So I love that I have a community of amazing blog-friends that I can chat about this kind of thing with. So thanks, everyone, for taking the time to comment and just being so darn awesome. This is very inspiring. I love sheers, and I really like the cheesecloth-like fabric you used. Great texture.Even though I love summer the most, the quality of light in the winter is nice, isn't it? It's like living inside of a cloud. may i ask where u bought your sheer fabric? thanks! Absolutely! Both fabrics layered here are from Fabricland (www.fabricland.ca, for locations in Canada & USA). But I think similar sheers can easily be found at other big box-type fabric stores. Hancock Fabrics also has similar sheers, I think. I find this type of store can have limited selection (compared to shops where you can special order anything under the moon), sometimes dated styles but awesome prices. When you turn on the heaters, does it bother the fabric? I have baseboard heating and I have my curtains hanging right above because I'm worried they'll burn! But I hate the way it looks. Hi Amy, good question! I have baseboard heaters but they have been converted from electric to radiant heat, so warm water passes through pipes hidden behind the metal. They do not get very hot, so there is no danger of the fabric burning. My Hubby does open them often, though, because he thinks it helps the heat move into the room.If you have electric baseboard heaters, they might produce too much heat. It is recommended that curtains shouldn't touch electric heaters.You could try getting a curtain rod that keeps the fabric at a distance (so, something that has more depth). 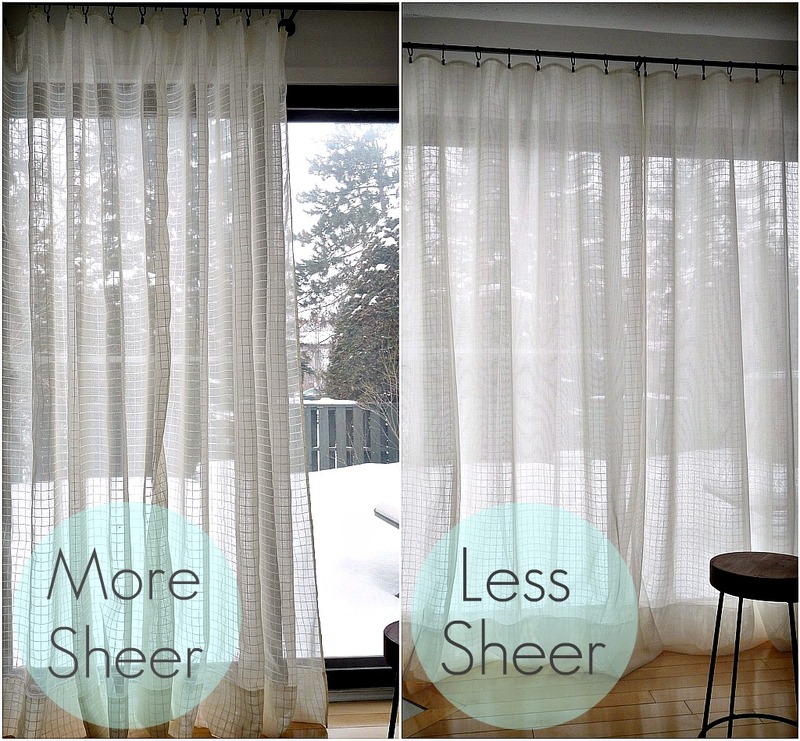 Or, perhaps, try a modern looking blind that only covers the window and then frame it with curtains that are hung beyond the heaters. Fabric roman blinds can look chic, also, and when made the same colour as the wall, can really blend in.Hope that helps! I will keep thinking of ideas and you can feel free to email me: dans.le.townhouse@gmail if you want more help.Best of luck! Those sheer curtains made the area look bigger and airy. 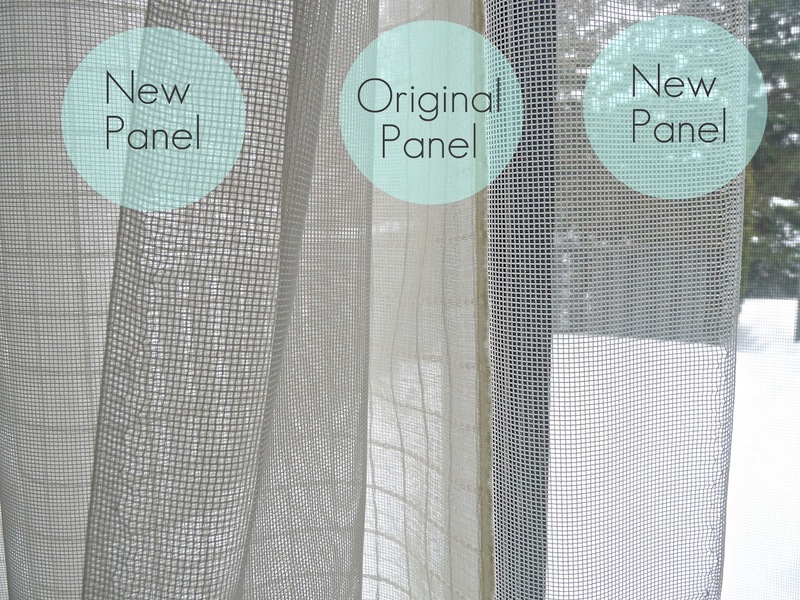 Who would have thought that a simple curtain alteration can make a big difference? 😉 Those sheers can also make a good curtain for the summer. Your townhouse looks so nice, Tanya.